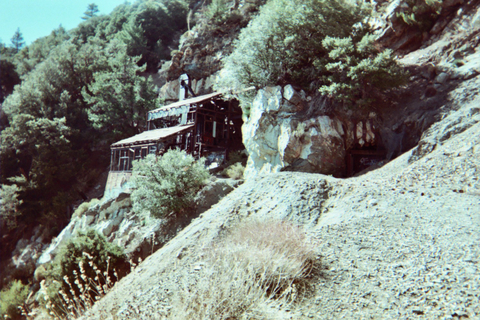 Balanced high on its airy perch 7000 feet up on the rugged eastern face of Mount Baden-Powell with its century-old ten-stamp mill overlooking the beginning of the historic East Fork of the San Gabriel River thousands of feet below, by any standard-scenic,historic or size-the Big Horn Mine is undoubtably the queen of all Southern California mines. 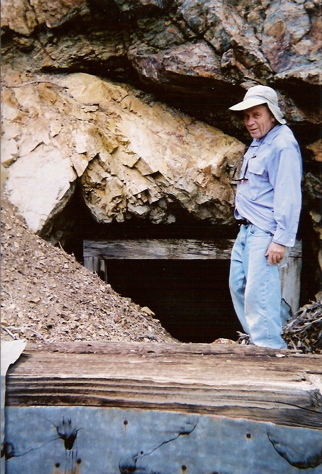 Its gold-bearing quartz vein was first discovered and worked in 1896 by that grizzled old hard rock miner, hunter, civil war veteran and fugitive Charles Tom Vincent aka Dougherty whose cabin and stamp mill can still be found nearby. .It has had several owners over the past century with the present proprietor a Canadian mining corporation (Siskon Gold Corp.) which has not worked the mine for the past few years. 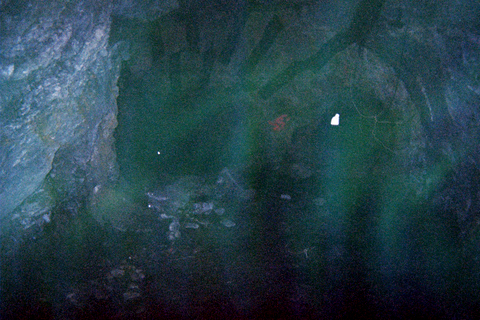 Although grotto members and others have explored its several levels apparently no mapping except of course by the original miners was done until now. 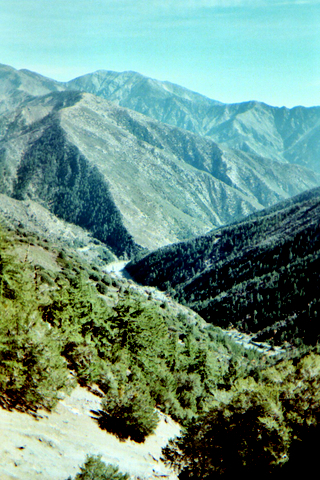 Estimates of its length varied from thousands of feet given by John Robinson in his Trails of the Angeles to 26 miles by Forest Service rangers. The writers undertook the task of mapping it in the fall of 2002. 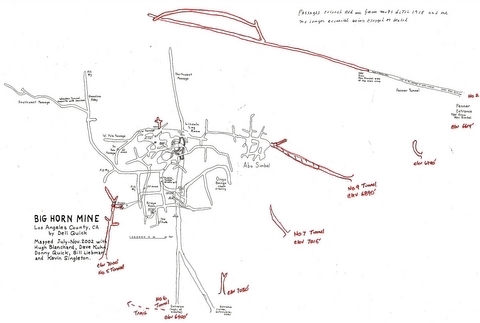 It required six trips and the completed map below has a total length of 8700 feet. 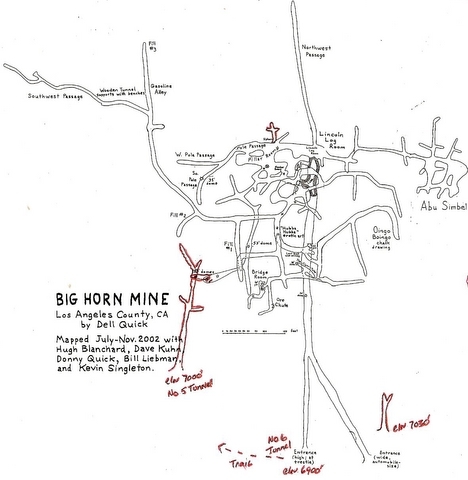 At that time the writers believed that all of the mine had been mapped. However in 2003 the L.A. County Fire Dept.-Search and Rescue Unit-obtained a set of maps dated 1916 from the Dept. of the Interior which showed substantially more tunnels and levels of which we were unaware. Locating these “lost passages” which according to the old map total about 3,500 feet will be extremely difficult since the entrances are now either clogged or sealed. 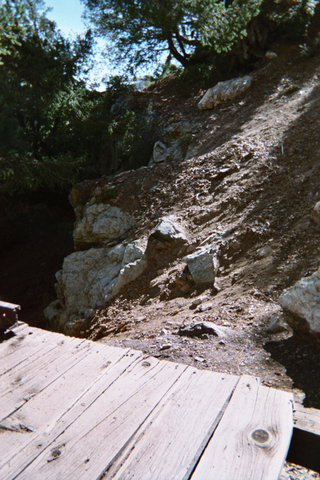 In December 2006 a conservation group called the Wilderness Land Trust purchased the 277 acres of the Big Horn Mine inholding within the Sheep Wilderness Area of the Angeles National Forest from its longtime owner Siskon Gold Corporation. This conservation group is presently attempting to transfer title to the Angeles National Forest authorities who are concerned about possible liability issues. 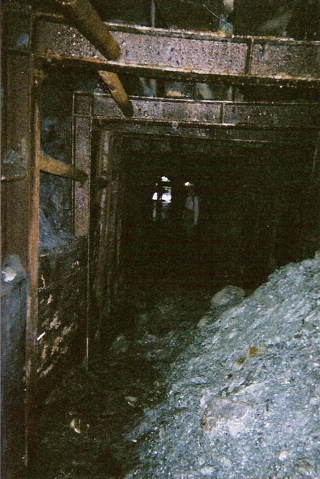 There are several nearby smaller tunnels apparently not connected to the main complex. 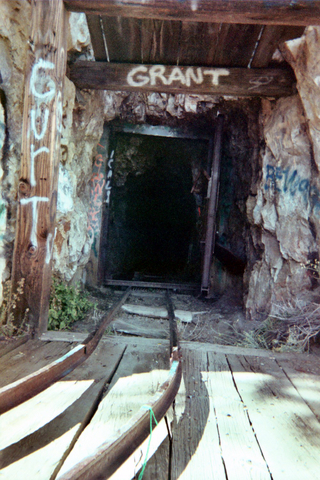 The longest is the so-called Fenner entrance, named after a former owner, located about a quarter mile below the stamp mill and its two tunnels. 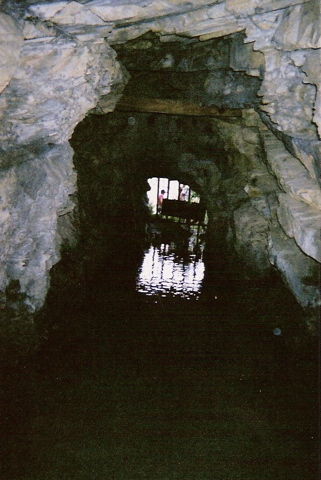 This open tunnel contains about two and a half feet of water throughout its 402 foot length. 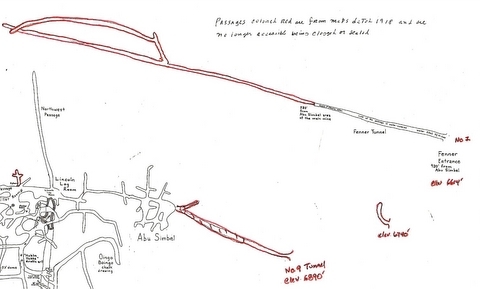 The old map shows more than 450 additional feet of passage beyond its present collapsed end. 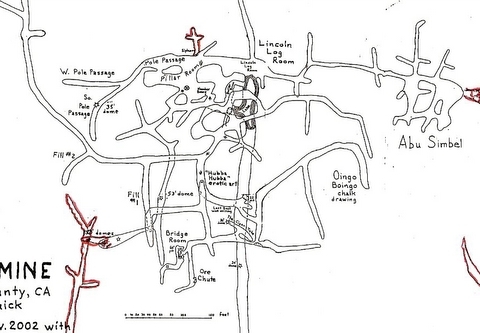 The map indicates there was no connection with the main complex. 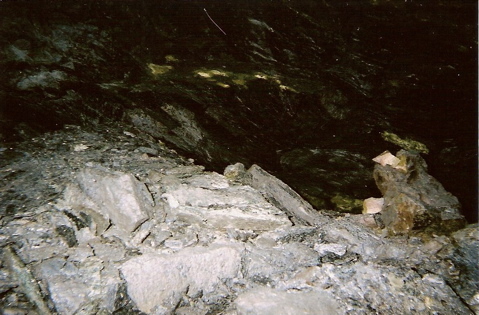 This mine has a tremendous amount of shoring of various types indicating the miners belief that the mine is unstable. 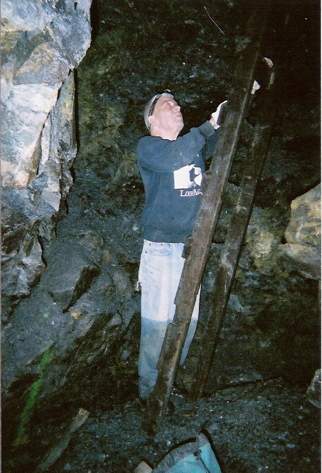 Within the past several years an unknown group placed a 12 foot wooden ladder at the terminus of the mine which leads to an upper room which has not yet been fully explored as of October 2008. Just beyond the stamp mill a faint trail with dangerous exposure continues over a mile passing a prospect that supposedly contains a hidden tunnel. 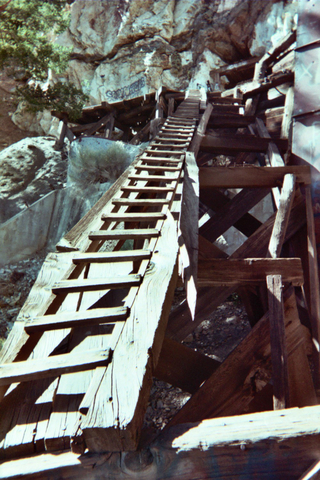 The writers strongly recommend against any solo trips on this dangerous trail and urge all parties to tie in with rope. 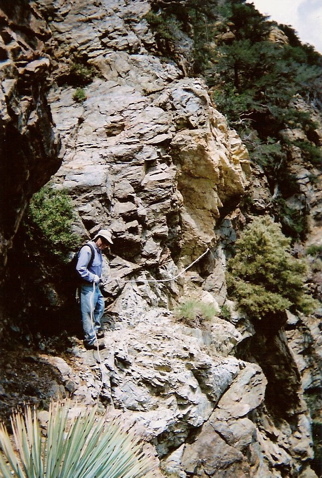 The trail ends at the top of a rather steep canyon. 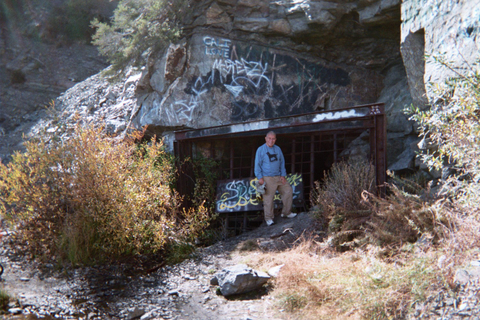 At the bottom of the canyon another tunnel entrance may be seen. 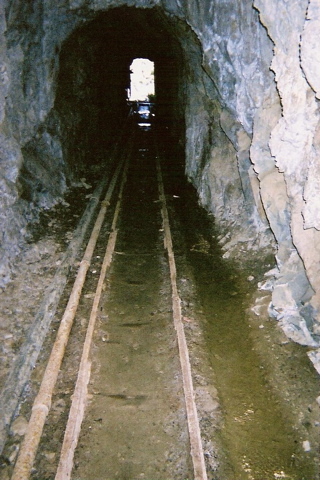 This tunnel is reportedly quite shallow but has not been visited by the writers.